Welcome home! The flowing floor plan, custom features, and charming character of this home will never go out of style. Being located in a wonderful neighborhood with easy access to GA-400, I-85, and Peachtree Parkway makes virtually all commutes a breeze. You’ll also have easy access to the highways, byways, and activities that make this location such a well loved destination! Being in this popular area of Duluth means you can enjoy many nearby restaurants and shopping spots too! 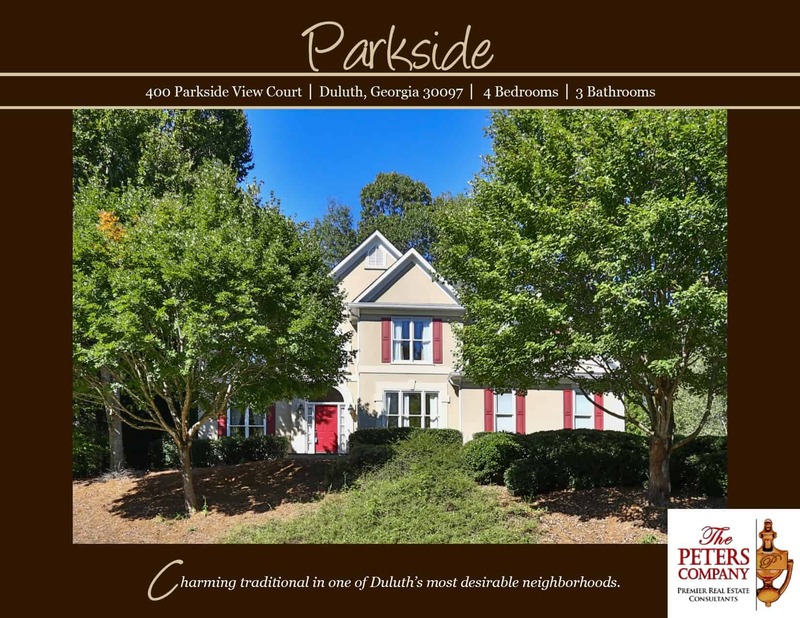 -Located on a quiet cul-de-sac in a swim/tennis neighborhood. -Loaded with craftsman touches, custom features, and a great flowing floor plan. -Kitchen features ample cabinet space, granite counters, spacious breakfast area, and pantry. -Great room has soaring two story ceiling, gas fireplace, built-in bookcases, and opens to a sunroom. -Separate living room and dining room are perfect for entertaining. -A bedroom and full bathroom on the main level are ideal for guests. -Spacious master bedroom features a trey ceiling, built-in bookcase, walk-in closet, and bathroom with double vanities, jetted tub, and separate shower. -A jack-and-jill bathroom connects two additional well-sized upstairs bedrooms. -The patio is ideal for outdoor enjoyment and entertaining. -A two car garage easily fits vehicles and has extra storage space. -Wonderful community amenities include a pool, tennis courts, and playground. ← Congratulations, Tiffany! Your Brookhaven condo in Carlyle Woods is SOLD!